Articles – Центр "Нова Європа"
Article of NEC Director Alyona Getmanchuk on the statement of General Prosecutor of Ukraine about the Ambassador of the US. (UA) Стаття заступниці директора Центру “Нова Європа” Катерини Зарембо, де проаналізовано, чи дійсно італійський рух “5 зірок” є антисистемним. 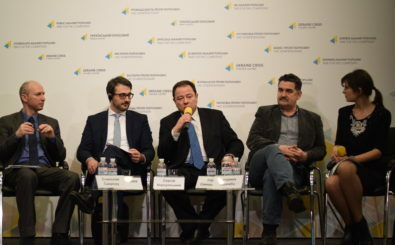 If I was to summarize the key change which happened to Ukraine over these five years, triggered by both inside and outside developments, it would be self-reliance – the increased maturity and awareness that support is not granted, much as there is no “irreversible” change. Will the Council of Europe become Putin’s trophy? Does the Council of Europe still serve any useful purpose? The 60-year-old institution, which oversees the European Court of Human Rights, includes European countries, together with Russia and Turkey, among its members. Ukraine’s European choice has transformed the geopolitical landscape of the entire region and plunged the world into a new Cold War but a new survey suggests the debate is still far from over inside Ukraine itself. The New Europe Center takes part in an advocacy campaign against Russia’s non-return to the Parliamentary Assembly of the Council of Europe. The Kremlin is trying to return to the PACE, by failing to comply with any Assembly resolutions on aggression against Ukraine. We share key facts about this situation in a question-answer format.